I have a vague notion that I should not participate in rewards clubs at stores. They will get my information! They will harvest me and sell me! I will become a cog in a meaningless machine--well, more of a cog than I already am. I will be only my data, my likes and dislikes. My shoe size and proclivities. My preference for romaine over iceberg. And my open contempt for savoy cabbage. So I don't participate in any rewards clubs--although now that I think about it, that is not true. I have a card thing for Petco, because that is Where the Pets Go, and surely a place of pets means me no harm and would never rise up against us. Oh and BevMo, because I enjoy receiving a 5% off coupon once a year that I have never once remembered to use (and 5% doesn't even cover the tax!) So apart from those two--no clubs! But the real reason I eschew these clubs is to disappoint cashiers. Look, I know the poor cashiers are forced to ask me to sign up for the club. They get a bonus or something. "Are you a club member? No?! Would you like to join?" "No? It only takes a minute!" they say as they get the sign-up form ready. But I am wise to them. No, I say. I will not join your club. One hardware store in particular, I always make a point to go to the same cashier, because he asks me so plaintively, every single time. And I always say no. In fact, last time, he even responded with "Well, I am just asking, sir," as if I had wounded him to the quick. It is also great to waver about signing up for a club when there are people behind you in line, possibly holding ice cream or other frozen confectioneries. Only take a minute, you say? Great! I will just stand here writing my name and address incredibly slowly while these people's ice cream melts. The people behind you in line in this situation are within their rights to murder you in cold blood and kick your body around the town square or other local landmark. I felt that my daughter just hadn't spent enough time around carnies in her young life, so to remedy that situation, we took her to a carnival this weekend. The type of carnival that springs up in a parking lot this time of year. Possibly I had forgotten this, but it turns out carnivals are incredibly expensive. This one had tickets for a dollar each, and one ride on the ferris wheel was five tickets. That means it was 15 dollars for my wife, daughter, and me to ride the ferris wheel for maybe 4 minutes. While you can't put a price on not knowing exactly how safe you and your family are, that still seemed a little steep. Even the midway games, with their aggressive barkers, were three to five tickets a go. Note that I did not try any of the games, much as that seemed to rankle the barkers. And I somehow convinced my wife that even though the four-foot-tall rastafarian-themed stuffed banana was charming hanging there in the booth, it might lose its charm in three and a half weeks when we exiled it to the garage to gather dust and possibly be savaged by raccoons. Besides, it seemed a little racist. But I tried to see it through my daughter's eyes. Not the four-foot tall rastafarian-themed stuffed banana, but the carnival itself. Was a carnival still a place of magic and wonder? Were Jim Nightshade and Will Halloway hiding from Mr. Dark somewhere? The Magic Mirror Maze was now a three-dollar fun house that she popped out of in about thirty seconds. I guess when Adventure Time is on demand and Mario Kart beckons on the 3DS, the carnival is not what it used to be. Would everyone stop dying please. One hell of a run. Otherwise known as Willard Grant Conspiracy. A huge talent and huge loss. 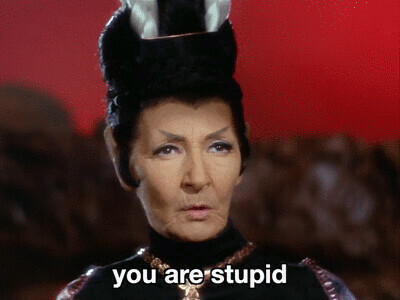 Funny Star Trek GIFs. Lots of swears. Neural network creates and sings a charming carol. Guerilla billboard alterations in 1980s Santa Cruz.